Regina First is one of the leading training service providers of first aid and cardiopulmonary resuscitation (CPR) training programs in Saskatchewan. Since 2009, it has been the number one choice of students in the area because of very affordable rates and flexible scheduling. Other training service providers just can’t beat out Regina First Aid. You can find a complete list of available programs and classes using the button below. If you want to enrol in a training course, just choose one from the list below and fill out the registration form below. You can also click the button above to register. Calls, e-mails, and walk-ins are also highly encouraged by the Regina First Aid’s staff. Effective CPR training, offered through Regina First Aid, teaches individuals how to be safe when administering first aid and CPR. One popular method is through the use of key-chain pocket masks (a barrier device). 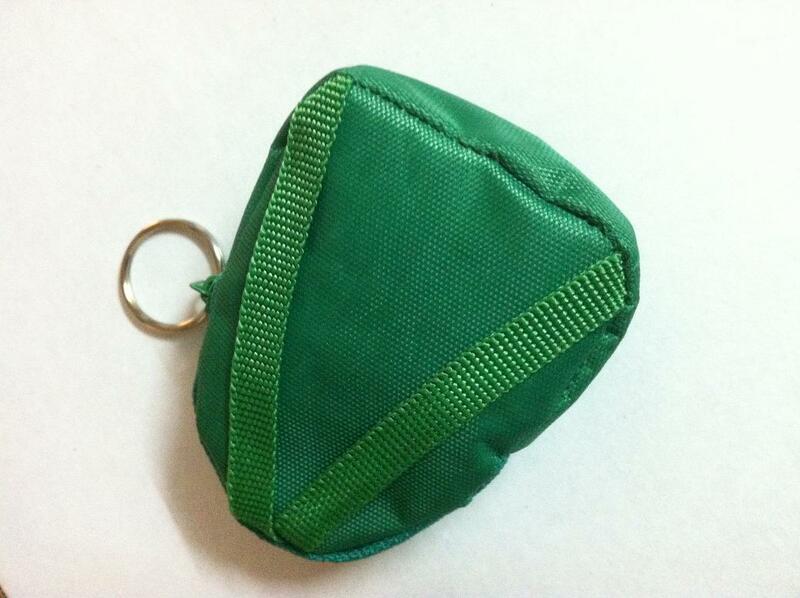 The picture displays what a key-chain pocket mask looks like prior to opening. Regina First Aid provides students very flexible scheduling for all training courses. Instructional classes include childcare, emergency, standard, and babysitting cardiopulmonary resuscitation (CPR) and first aid training. Full courses include CPR and first aid training, as well as automated external defibrillation (AED) training. AEDs are machines that detect heart rhythms and apply needed shock to the heart. 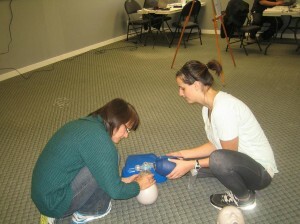 Regina First Aid offers the cheapest training programs in the Regina area. Fees are only paid during enrolment and are inclusive of everything – taxes, certificates, and St Mark James registration fees. Even training manuals and use of equipment are included so you don’t have to worry about additional expenses. If you drop out of a training program, a full refund will be given to you as long as a 72-hour notice is done beforehand. St Mark James Training awards the training certificates after the completion of the training program. The certificate is valid for three years and can be renewed, if prerequisites are met, through Regina First Aid’s refresher programs. These programs are held twice a week. If you don’t want to enrol in the full course, you can choose to sign up for stand-alone CPR/AED or stand-alone first aid classes. Trainees who want to get trained at home or want to book training for a company event can also opt for a private instructor. Anemia is a condition where there is a decreased number of healthy red blood cells circulating in the body. Without an adequate number of red blood cells, our tissues do not get needed oxygen and become damaged. Iron is one of the nutrients our body needs to produce hemoglobin, the part of the red blood cell that carries oxygen. Iron-deficiency anemia (IDA) is caused by inadequate intake of iron through the diet and is easily managed with oral iron supplements.